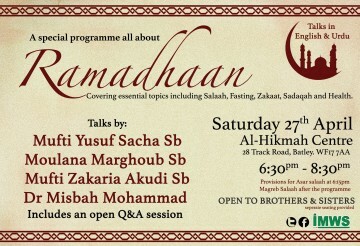 As we approach the holy month the IMWS has organised a special programme to cover spiritual and health advice. The event will cover essential topics including Salaah, Fasting, Zakaat, Sadaqah and Health issues, and include an open floor Q&A session. Open to brothers and sisters with separate seating available. 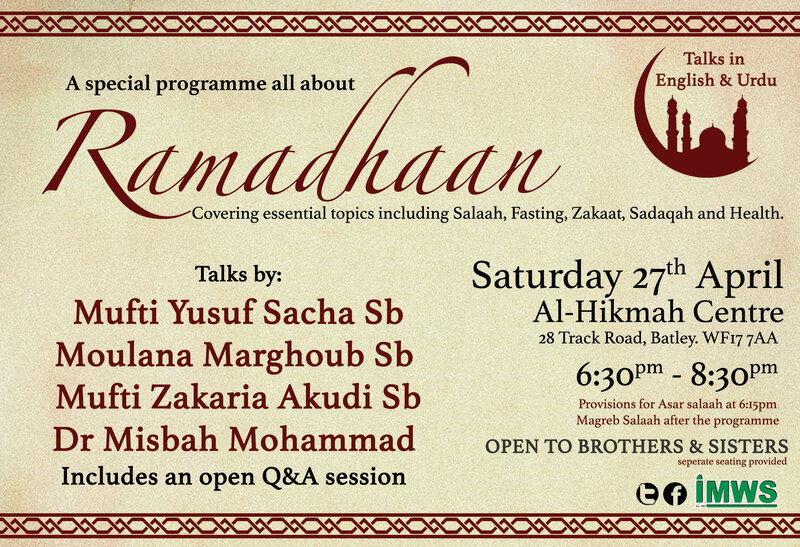 Asar salaah will be performed at the centre at 6:15pm and Magreb salaah performed after the event.